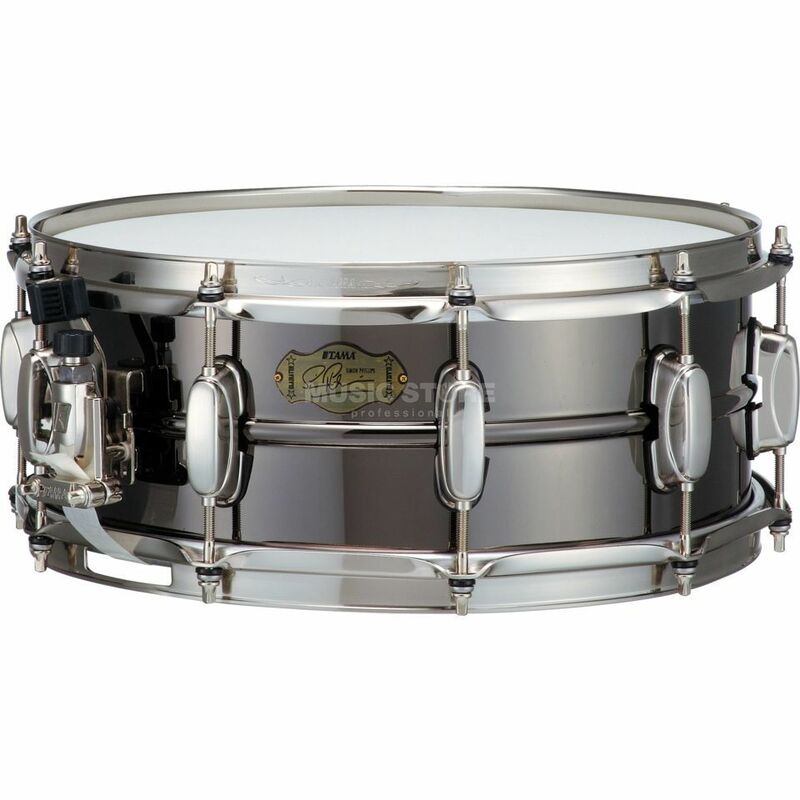 The Tama SP1455H Simon Phillips Snare Drum otherwise known as “The Gladiator" is a 5.5x14" Signature Snare. "The Monarch", produces never-heard-before tones thanks to its 8ply maple/bubinga/maple hybrid shell and customized triple flanged hoops. This combination provides a warm controlled sound with sharp, bright cut. Simon Phillips’ second main snare drum, the Gladiator, features black nickel-plated bronze shell. His Pageant maple drum completes Simon's snare drum arsenal.